The most popular Canadian attractions are a blend of the country's most treasured natural wonders and urban highlights. Many are famous worldwide; others lesser known, but all contribute to the country's national identity. 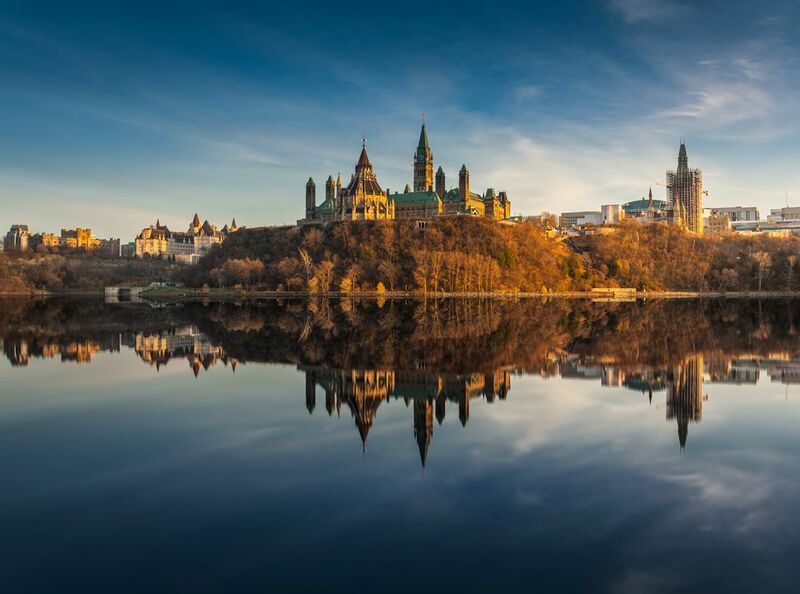 Beginning on Canada's west coast and moving east, discover the beauty, history, and charm of Canada through its best attractions and destinations. Pacific Rim National Park, B.C. Backed by a mountain range and facing the open Pacific Ocean at the tip of Vancouver Island, Pacific Rim National Park has a rich natural and cultural heritage. This park boasts one of the country's most famous hiking trails, the West Coast Trail; long, sandy beaches; Aboriginal culture; rainforest and an overall laid-back charm. Whistler is most famous as a ski destination - one of the best in the world - thanks to Whistler and Blackcomb mountains that loom a mile above the village and provide over 8000 acres of skiable terrain. Year-round, Whistler offers visitors fine food, spas, and plenty of opportunity for adventure, all in a breathtaking locale. A prized Canadian treasure, Banff National Park is one of five national parks in the Rocky Mountains that attracts millions of visitors each year for camping, hiking, biking, skiing, fishing or just relaxing. The resort towns of Banff and Lake Louise are both located within Banff National Park and offer a full range of restaurants, shops, and accommodation including two of the most iconic and historic hotels, Fairmont Banff Springs and the Chateau Lake Louise. With more than 6 million cu ft (168,000 m³) of water falling over its brink per minute, Niagara Falls (actually comprising three falls: the American, Bridal Veil and Horseshoe) is the most powerful waterfall in North America and maybe the most famous in the world, attracting millions of tourists each year. Niagara Falls, the town, is a tad on the maudlin side - mix small-time Las Vegas with a mediocre theme park - but with the addition of the Niagara Fallsview Casino Resort in 2004, finer hotels and restaurants have followed. Niagara Falls is a city you probably only need to visit once or twice. The Niagara region as a whole, though, is worth deeper exploration. At 1,815 feet Toronto's CN Tower is the tallest free-standing structure in the world. Tourists are naturally drawn to tall buildings for the bird's eye view. However, elevated observation usually comes at an elevated price and zero cultural appeal. The CN Tower is no different, but there really is no beating the view and the glass elevator that takes you to the 1,122 feet high outdoor observation deck is thrilling. Skip the lineup, which can often be lengthy, by getting your tickets online or by making a reservation to dine at the tower's top-floor restaurant, 360, which is actually quite good. Parliament Hill is an impressive group of gothic revival buildings in Ottawa that house Canada's parliament. Free tours are offered throughout the year and the Hill is also the setting for national celebrations, like Canada Day. Old Montreal is a part of downtown Montreal that has been preserved in much of its original state, with the oldest buildings dating back to the 1600s. This historic neighborhood is a safe and vibrant community and tourist attraction, with hotels, restaurants, shops, residences and commercial spaces. Quebec's provincial capital, Quebec City, is steeped in history and European in flavor. The old town is the only fortified city north of Mexico in North America and is a World Heritage Site. Quebec City offers an experience unlike almost any other in North America. The 300 km (185 mi.) long Cabot Trail is famous for the vistas it offers of the Gulf of St. Lawrence, the Atlantic Ocean, and lush landscapes, particularly spectacular in fall. The Cape Breton National Highlands Park is at the trail's most northern points and where the trail reaches its highest elevation. The trail takes a few hours to drive, but tourists generally spend a day or two, stopping in at one or two of the towns along the way. The Bay of Fundy extends from the northern coast of Maine into Canada between New Brunswick and Nova Scotia. Twice daily, the Bay fills and empties its 100 billion tonnes of water, creating the highest tides in the world - in some areas of the bay, tides reach more than 50 feet (16 m). The energy created by the force of these tides drudges up nutrients from the ocean floor that attract an interesting and wide range of animal life to the bay. The effects of the tides have also carved out a dramatic surrounding landscape of steep cliffs and sea stacks. In addition, water has worn away the shore's red sandstone and volcanic rock to reveal a plethora of fossils and signs of life from millions of years ago.